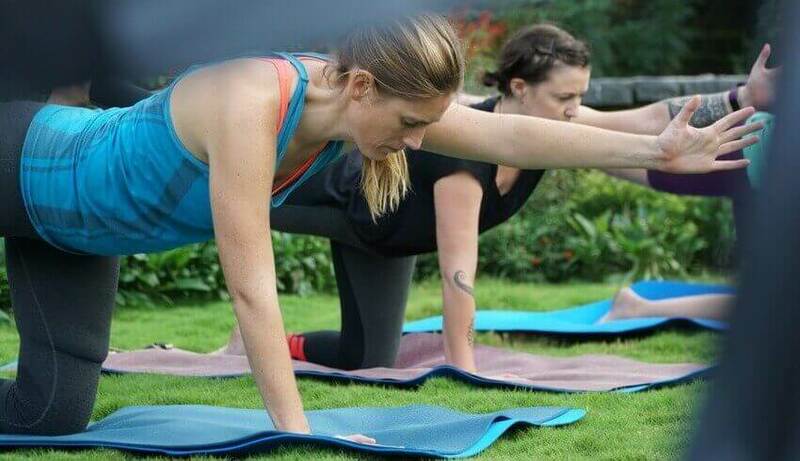 Rishikesh Yogpeeth is a Registered Yoga School (RYS) with Yoga Alliance, USA. We conduct 200-hours, 300-hours and 500-hours Hatha Yoga Teacher Training Programs that follow the Yoga Alliance framework. Training from an approved school (RYS) allows you to register with Yoga Alliance as a Registered Yoga Teacher (RYT). We also conduct Yoga Retreats and programs for beginners in Yoga. Rishikesh Yogpeeth is one of the oldest RYS in Rishikesh. Established in 2005, we have trained more than 6000 students from over 110 countries as Yoga Teachers certified to Yoga Alliance standards. The core team at Rishikesh Yogpeeth has practitioners who are rooted in tradition yet contemporary in their vision and communication. Our strength lies in interpreting ancient yogic knowledge into clear and simple teachings that can be understood and applied to our times. 200 hour residential Hatha Yoga Teacher Training in India registered with Yoga Alliance USA at Yoga School Abhayaranya - Rishikesh Yogpeeth - RYS 200, 300. I did my 200hrs yoga-teacher training here in february and when I'm looking back at it it was a wonderful time and I'm so much happy i did it. The place is wonderful, the teachers are very knowledgeable and after the course I felt really ready to jump right into my new job as a yoga teacher at home :) I highly recommend the place , thank you for everything ! I applied to do my 200hr YTT and ended up staying for 500hrs. The place is extremely peaceful and beautiful - a hidden gem tucked away in the mountains, with the most beautiful sunrises. You’ll see a lot of them while you are there. All the teachers are both knowledgeable and humble, giving you all the tools you require to be the most confident in your ability to teacher yoga - if you choose to accept. I would definitely recommend this place to anyone without a second thought - but please do you own research and see if this is the place that will be best suited to your own needs. This teacher training course was life changing. There are not many places you can go for a long period of time and learn about the nature of the world; the universe. I have been waiting for an opportunity such as this to come my way for many years now and am so happy to have experienced the intensive study with Abhayaranya - Rishikesh Yogpeeth. Best of luck to the organization in the future. Abhayaranya - Rishikesh Yogpeeth holds a very special place in my heart. While I came for yoga I returned from India with a much deeper understanding of life. Asana classes were rigorous and fun at the same time and it opened up my body and spirit towards meditation and appreciation. A year later, back in Manhatten I still look back at Yogpeeth with joy and respect. You will feel lucky it came on your path ,like I did. Traveling to India to learn yoga was the right thing to do for me. My concept of "yoga" was transformed from the Western physical activity to the spiritual Indian experience. It's a perfect introduction to the complex discipline that is Yoga -and it is explained in a friendly way. Abhayaranya - Rishikesh Yogpeeth made the experience a non pretentious process which I feel enabled me to understand the true meaning of yoga. I would totally recommend this course to anybody who is interested in learning about the self and Indian culture. I attended the 200 Hour TTC June-July 2012 and I still glow every time I think about my experience at Abhayaranya - Rishikesh Yogpeeth. Sanjay and Roshan created a very comfortable environment in which to learn and grow and the other students were (and continue to be...we still keep in touch!) very supportive of one another. I was able to deepen my practice I came to India with and continue to challenge myself throughout the training. The food was delicious and the local outings were so much fun! I highly recommend attending this teacher training course. Learning yoga in Rishikesh is a unique experience. Rishikesh has been the cradle of this ancient tradition for centuries. Many great saints and numerous practitioners have spent their lives practicing and teaching yoga here. The cumulative energies of these masters make Rishikesh a special place to learn and practice Yoga. The benefits of studying Yoga in Rishikesh are many. Perhaps one of the reasons for coming here is that you will meet many people from across the world who come here for the same reason as you and share your passion. It may come as a surprise that the relatively little time that you spend here, creates strong bonds. Bonds that may stretch across nations, cultures, religions, age, gender and sometimes last a lifetime. That is why we have seen many teary goodbyes at the end of courses at Rishikesh Yogpeeth. People connected through their hearts and their passion for yoga knit into a yoga family that transcends separation. Why should one choose Rishikesh Yogpeeth, when there are so many schools available? That is, of course, an individual choice or preference. We would suggest you do your own research, read the reviews of our students and make you your mind. It can be a daunting task to choose the right school - many people offer advice on how to choose a yoga TTC. All we can say - in all humility - is that our reputation and our students speak for us.